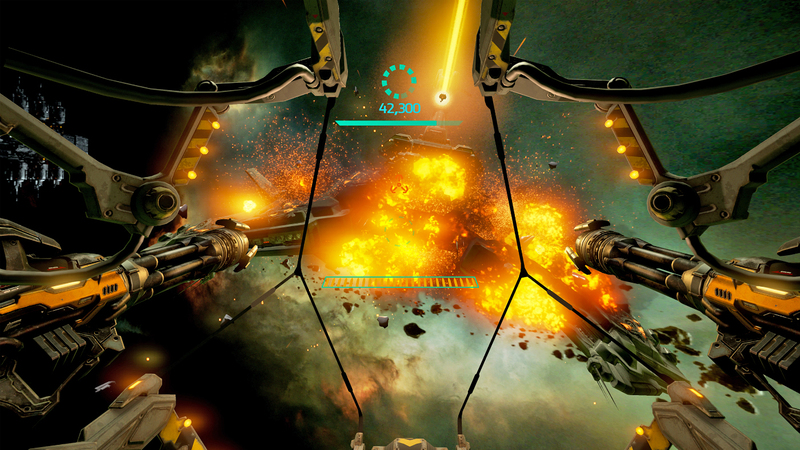 The space shooter that launched on Samsung Gear VR makes its way to new platforms. Gunjack places you in the gunner seat of a spaceship in the EVE universe, battling interstellar crafts as they attempt to infiltrate the mining vessel under your protection -- all in glorious virtual reality. It launched in November alongside the Samsung Gear VR headset, and now it's heading to Oculus Rift and HTC Vive for $10. Gunjack hits PCs for the Rift when the headset begins shipping on March 28th and it'll come to Vive later in 2016. Gunjack comes from EVE studio CCP Games and it offers a taste of what to expect in EVE: Valkyrie, the developer's multiplayer dogfighting shooter headed to Oculus Rift and PlayStation VR. Since launching on Gear VR, Gunjack has been the top-selling game on the platform, CCP says. The PC version will include higher-resolution graphics and improved audio, textures, effects, plus leaderboards and achievements.